Vanuatu is probably one of the least known licensing jurisdictions for the online gaming industry. Even better Vanuatu has an impeccable reputation in the industry and holds online gaming operators to very high standards. Vanuatu is working hard to become a premiere licensing jurisdiction for online gaming. Gaming operators are looking for stable environments to conduct business. The political stability of Vanuatu combined with a sophisticated infrastructure and a minimal tax regime make Vanuatu an ideal location for the online gaming industry. Vanuatu has established over a long period of time, a secure financial infrastructure focused on a low tax regime. 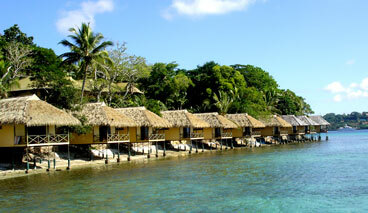 Vanuatu can be considered a 5-star financial and commercial investment center. The Vanuatu government approved online gaming in 1999. The licensing process is regulated by the Finance Ministry, the Department of Customs and Inland Revenue through Interactive Gaming Consultants Ltd. The approval process for companies seeking a license is stringent. The government requires background checks on the companies’ gaming systems, financial security and corporate competency. The Interactive Gaming Act, 2000 provides the framework that regulates online gaming activities and other communications media. The regulatory framework provides for the issue of a Vanuatu interactive gaming license for casino games, fixed odds wagering and pari-mutuel games conducted in Vanuatu.